"Mr. Zoulek's performance, on saxophones of every range, is stunningly virtuosic, no matter the genre” (Wall Street Journal). 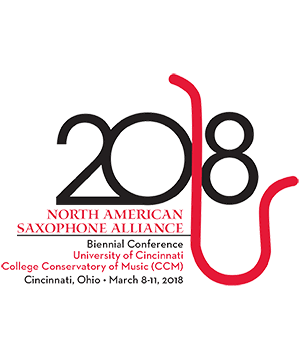 An award-winning concert saxophonist and multimedia artist, Nick has been heard in France, Canada, the UK, Africa, Serbia, and across the USA. His playing is lauded as "...nonpareil, extracting notes and timbres seemingly impossible." (Huffington Post) with the capacity to “[take] you to other worlds” (Milwaukee Magazine). Collaborating in the interdisciplinary setting, Nick has served as music director for Wild Space Dance Company, and has worked with the Madison Ballet, HYPERlocal, and more. A cinematographer, Zoulek’s films have garnered international awards, including Best Experimental Film from the London Modcon IFF and Largo FF. Nick has served on faculty at the University of Wisconsin-Whitewater (sabbatical replacement), and is currently pursuing his DMA in Contemporary Music Performance at Bowling Green State University. Nick can be heard on his solo album, Rushing Past Willow (Innova Records).